It’s one of the exclusive tours of Jaipur Sightseeing 2 Days Tour Packages which has been exquisitely drafted out to see one of the most beautiful cities of Rajasthan – Jaipur. Also known as Pink city due to its Pink Coloured walls all over the city; it showcases one of the best Rajasthani Culture, historical heritage and priceless memories to take along! 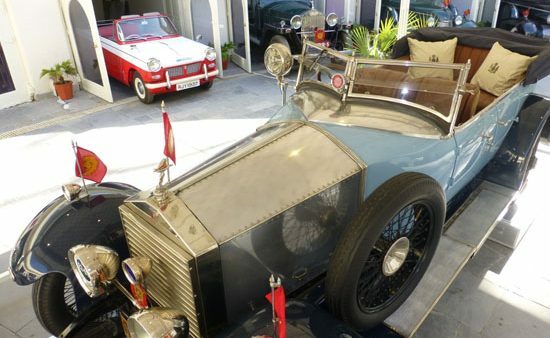 On arrival to the Jaipur Airport, our representative shall pick you up from the airport. From here we will transfer you to overnight accommodation in one of the best hotels of the city Jaipur. Built in the year 1727, the city in itself is so beautiful, that on the way to various destinations, you will feel enriched with the ages – old grandeur. The first day we will visit Amber Fort which was built in the year 1592 by Rajah Mann Singh – the Rajput Commander of Emperor Akbar. It’s the best architectural piece you will see around. This Red Stone Fort encloses in itself the historical things like Armoury museum, Devi Temple, ages old Paintings, Sweets of Maharajah and Maharani and Widow Maharani Room too. It also has a lift inside which was used to take Maharajah from ground floor to 1st floor. 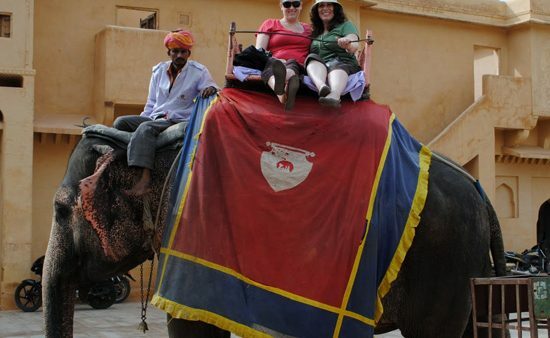 Also enjoy elephant riding on amber fort. The second day, we shall move on to see the City Palace in the midst of heart of Jaipur city. The royal family still resides here and only a section is open for visitors. A mix of Rajasthani and Mughlai architecture it houses Sawai Madho Singh Museum, Silver Miniature Museum and beautiful peacock paintings on the walls. Here you will also see the jewelery – making shop and painting shop. You can make a purchase if you wish so. 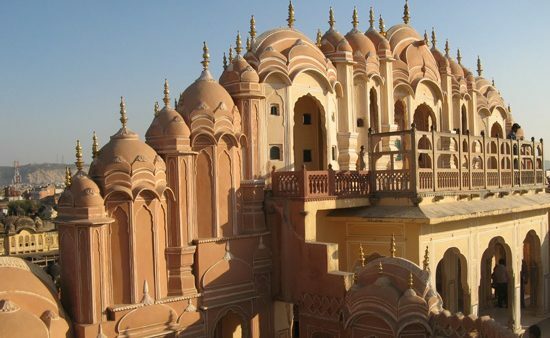 Early evening, we shall take you to Hawa Mahal or Palace of Winds. Constructed for the Royal ladies to watch the royal processions; it a perfectly blended pure Rajasthani Architecture. Late evening shall be the time to go around the local market called Babu Market which is filled with Rajasthani dresses, jewellery, artefacts’, paintings, blue pottery and souvenirs’. You can buy whatever yo wish to from here! After this we will take you back to the hotel for night stay or to the airport if you have a flight to catch!